The little blue guys from the 80s are making a comeback on iOS devices in Smurfs’ Village. 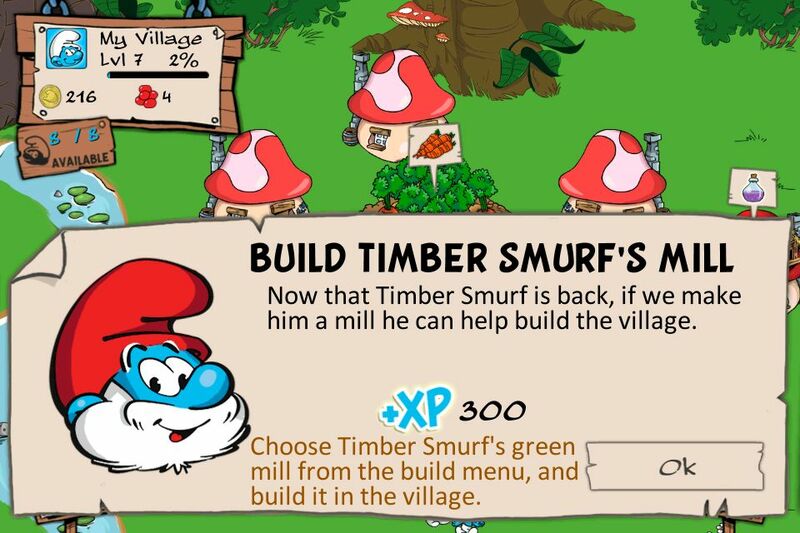 Gargamel found the Smurfs’ village, and they had to scatter, but Papa Smurf will give you guidance to build a whole new village. 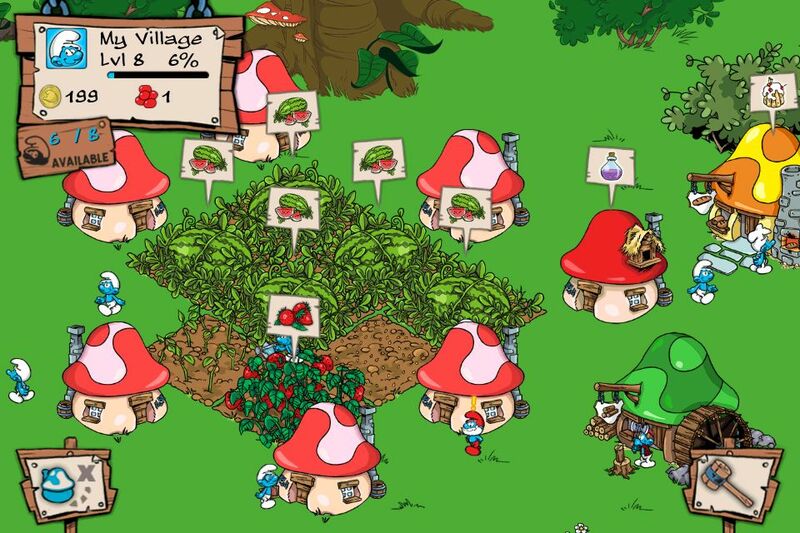 You start with one mushroom house, and one farm land, and try to level up your village by earning experience points. The game features the freemium pay model with packs of Smurfberries to speed up growth and construction. Each time you level up Papa Smurf has a new quest to find some of the well known Smurfs like Jokey, Brainy, Timbersmurf, and Smurfette. 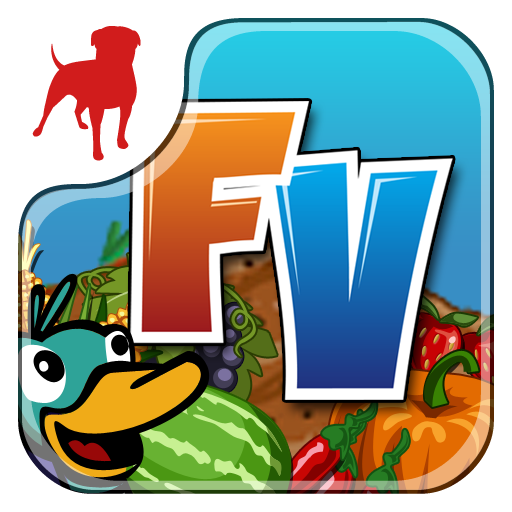 There are multiple crops to grow and houses to build, as well as special buildings that have mini-games to earn money and xp. 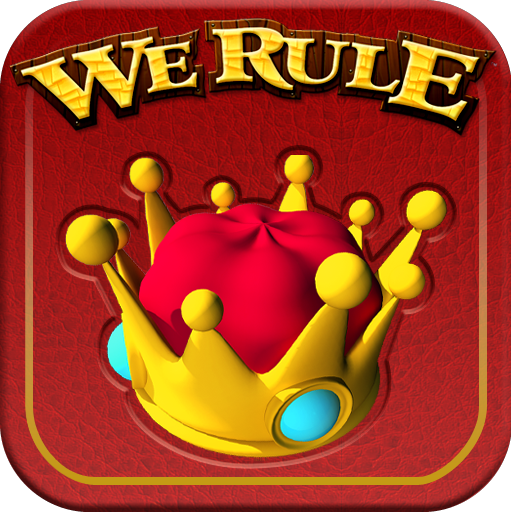 The game isn't very original with a similar style to We Rule or Farmville, but does have the. Smurf theme. You get to see the little Smurf's going about the daily work, and it's nice to see the village grow with great retina quality artwork. There are a few ways to earn experience points, and every level up introduces a new quest from Papa Smurf to give you a concrete goal. 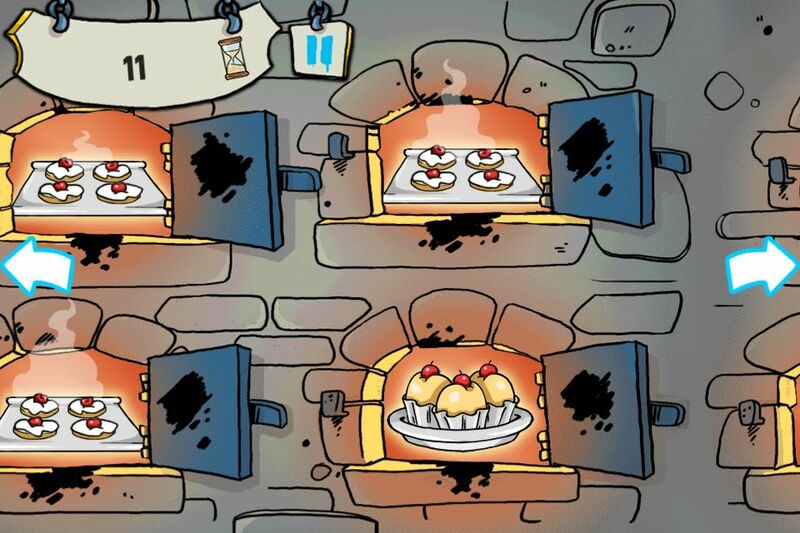 The goals usually introduce new special buildings that offer mini-games including potion mixing, baking, and wood cutting. 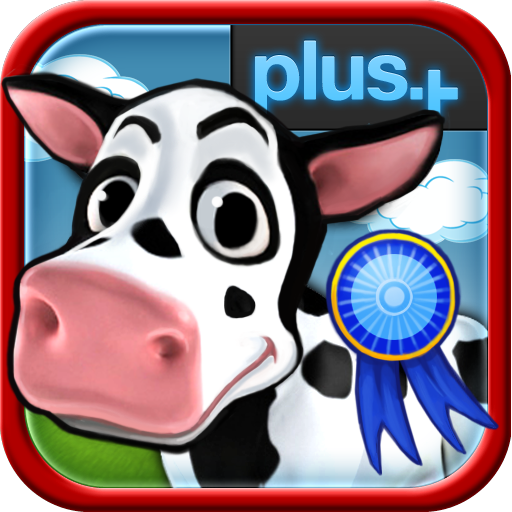 You earn xp for completing the quests, and doing well at the mini-games, and the level up bar has a percentage indicator to know exactly how far along you are. 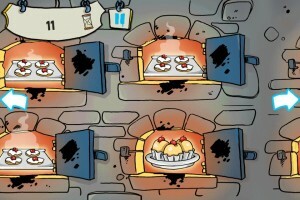 There is a whole story to go with the leveling up which is a nice addition to the freemium game style. 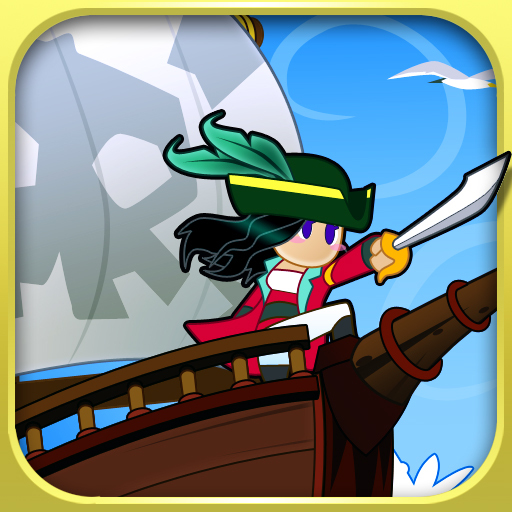 The game is extremely slow moving and tedious even for a Freemium game. Usually they're made where you check in do a few tasks, and then check back in later, but this one is to an even more of an extreme extent. You can play completely for free, but to really get anywhere you'll need to buy one of the IAP with the cheapest option $4.99 which is pretty steep. You don't earn Smurfberries all that often like you would mojo in We Rule, and many of the increments are almost whole days. 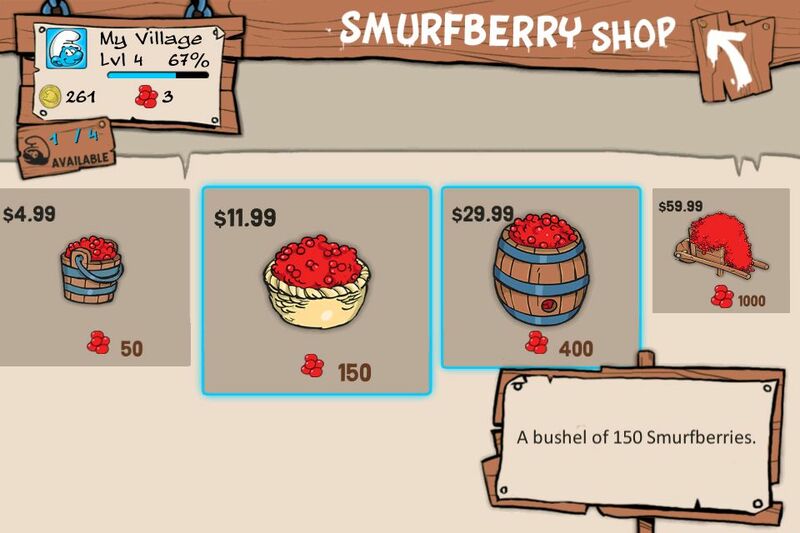 If you don't buy any of the IAP your village will progress very slowly, and it won't be very creative because you can only really afford the cheap buildings. Each Smurf can only do one job so rather than starting a whole bunch of jobs you're limited by the number of Smurfs you have, or in other words the number of houses you have. Probably the biggest problem is the social connectivity or lack thereof. 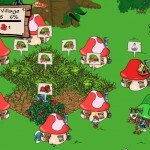 These freemium games were made to interact with other players in some shape or form, but Smurf's Village uses the terrible Facebook Connect. 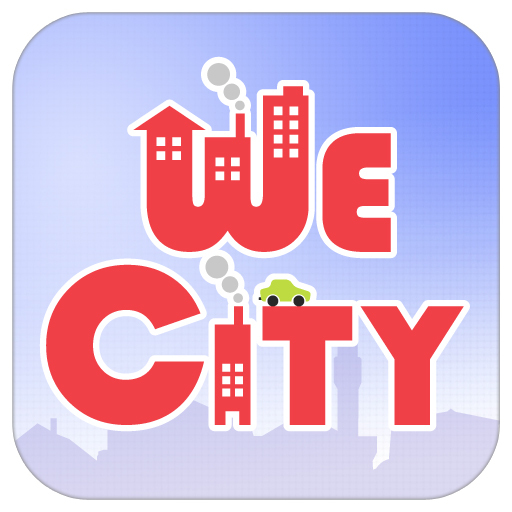 Rather than connecting you with other iOS device users playing this game like ngmoco's "We" games, you're connected with Facebook friends who may or may not even have iOS devices, never the less the actual game. Without others to play with, the game becomes even worse as it just doesn't support single player play that well. This feature also doesn't allow you to sync between iOS devices or continue your current game if you ever delete the app. 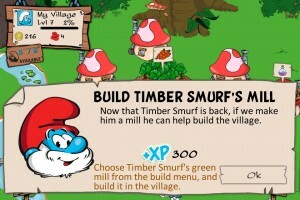 Smurfs’ Village is the freemium game for Smurfs fans with a story, actual quests, great art style, and the classic Smurf characters. The problem is that the game is extremely slow moving even compared to other freemium games which really makes you feel like IAP is an obligation, and there are no small packages. The game lacks any real online connectivity which is so essential for these types of games. 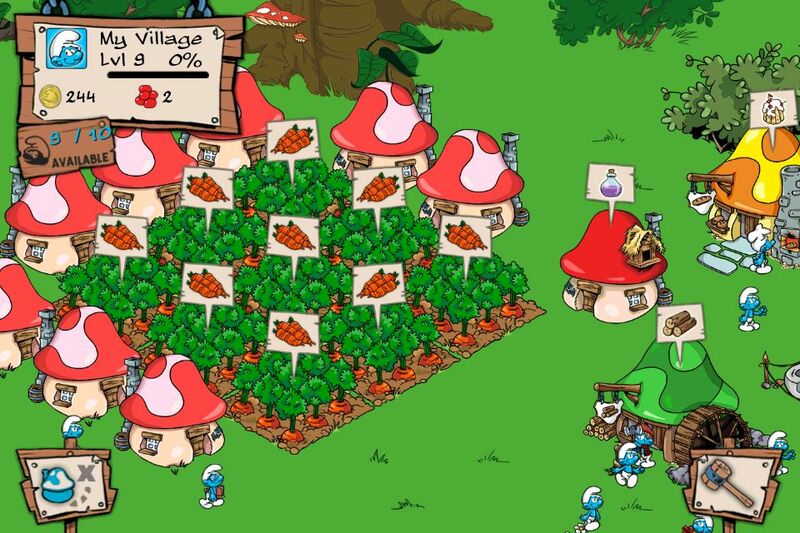 Smurfs’ Village is one to stay away from as a poor attempt at a Freemium game that isn't even worth downloading for free. The game is just really boring and feels like a chore more than anything else.